Tami Simon: You’re listening to Insights at the Edge. Today my guest is Joseph Goldstein. This is part two of our conversation on the deeper dimensions of mindfulness. Joseph Goldstein has been leading insight and lovingkindness meditation retreats worldwide since 1974. He’s a cofounder of the Insight Meditation Society, the Barre Center for Buddhist Studies, and the Forest Refuge. 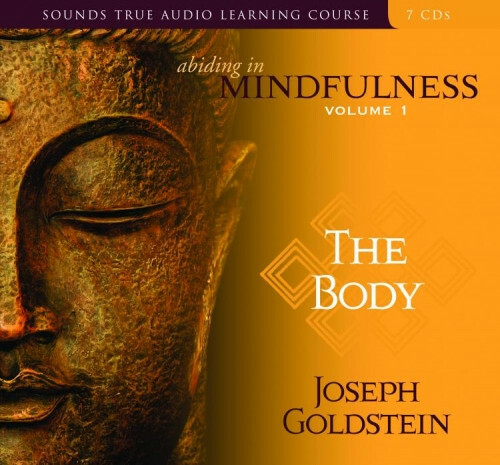 With Sounds True, Joseph has released a new book and a new audio program, Mindfulness: A Practical Guide to Awakening, in which he delves deeply into the Satipatthana Sutta and shares the wisdom of his four decades of teaching and practice. Mindfulness: A Practical Guide to Awakening is a book that will serve as a lifelong companion for anyone committed to mindful living and the realization of inner freedom. In this episode of Insights at the Edge, Joseph and I spoke about the three areas covered in the Satipatthana Sutta in addition to mindfulness of the body. We talked about mindfulness of feelings, mindfulness of mind, and mindfulness of dharmas. Joseph also unpacked what it means to be mindful of the Four Noble Truths and the Buddha’s Eightfold Path. Finally, we talked about the quality of ardency and how we can bring an engaged heart to the practice of mindfulness. Here’s part two of my conversation on the deeper dimensions of mindfulness with Joseph Goldstein. Joseph, to continue now the second part of our conversation, really in celebration and wanting to draw attention to your new landmark book, in my opinion—a book that really puts a stake in the ground, if you will, in the field of mindfulness. The book is called Mindfulness: A Practical Guide to Awakening and it takes the reader through, in quite a bit of detail—460 pages of detail, I might add—the Satipatthana Sutta. In the first part of our conversation, we were talking about how the Satipatthana Sutta covers these four different areas of engagement. Four different “pastures” was the word that you used, from the traditional Pali word. And we talked a little bit about mindfulness of the body. I wanted to move onto the second area: mindfulness of feelings. Tell us a little bit about what the sutra has to say about mindfulness of feelings. In the first part, you mentioned how we have pleasant, unpleasant, and neutral feelings. Probably people can relate to this idea of pleasant experiences and unpleasant experiences. But how would I know if I’m having a neutral experience? Joseph Goldstein: Well, interestingly, the example given in the text for a neutral experience is if you are tracking an animal through the woods. You’re following the track and it then goes over a rock and you don’t see the track and you pick it up on the other side. So, a neutral feeling would be absent of something being either pleasant or unpleasant. That’s usually how we know it. If nothing is strikingly pleasant or unpleasant, there’s a good chance that it’s a neutral feeling. There are some stages in meditation where the neutral feeling becomes predominant, and then it’s very obvious what that experience is. One of the interesting things about those stages is that for most people, neutral feeling becomes more pleasant than “pleasant” just because there’s a certain refined quality to it. But in the beginning, mostly it’s just the absence of something being strikingly pleasant or unpleasant. TS: Now there’s another section in this part about feelings where we become mindful of whether or not our feelings are “worldly or unworldly.” Can you explain that? JG: Yes, that’s a very interesting part of the discourse that is not usually given much attention. I think the translation “worldly and unworldly” is perhaps a little unfortunate. It’s a little clumsy for what it means. Worldly feelings are those experiences of things being pleasant, unpleasant, or neutral—just our usual sense impressions. We taste food and it’s either pleasant or unpleasant. Or we hear sound, or feel a certain sensation in the body and we experience it as being pleasant or unpleasant. These are the worldly feelings based on sense contact. As I mentioned in the earlier part of the interview, mindfulness of these feelings is so important because when we’re not mindful, pleasant feeling tends to condition attachment and clinging to the pleasant. And the unpleasant feelings condition aversion—very often we don’t like and want to get rid of [them]. Neutral feeling, worldly feeling often conditions delusion—we space out. The unworldly feelings, what I call the unworldly feelings, have to do with those feelings that are not based on sense objects, but the feelings arise from the mental quality of renunciation. Because they arise from this quality of renunciation, pleasant feelings coming from renunciation do not tend to clinging. As an example, the pleasant feeling associated with generosity or the pleasant feeling associated with lovingkindness or renouncing ill will. These pleasant feelings are unworldly in the sense that they’re not leading—they don’t condition the mind towards grasping, so they really further us on the spiritual path. It is also true of unworldly painful feelings, unpleasant feelings. For example, to move through a certain kind of renunciation in meditation we go through stages of insights that are unpleasant. There are unpleasant sensations in the body and unpleasant mind states, but these are actually part of the unfolding path. We are renouncing, in that sense, delusion; it is the result of being mindful that we go through this terrain on the path. It’s a difficult time in meditation, but it’s just part of the unfolding. These unworldly, unpleasant feelings don’t condition aversion because there’s wisdom present in the mind. Maybe even a simpler example [is that] sometimes on retreats we follow the Eight Precepts, one of them being not eating solid food after the noon meal. Based on renunciation, there might be some unpleasant feelings in the body, but actually a kind of happiness comes from that. It doesn’t condition aversion. So these are just some examples of feelings which don’t tend to the unwholesome states of mind. The reason that I wanted to highlight this in the book is that sometimes people, in hearing about Buddhism or hearing the teachings, kind of over-emphasize the suffering aspect. “The Buddha just talked about suffering and the importance of this heroic effort.” I think it’s really important to emphasize that the Buddha is really talking about a path of happiness. This was a key part in his own path to awakening. It is said that as a young boy, he was sitting under a tree watching his father, the king, in some plowing ceremony. Spontaneously, the young prince, Siddhartha—as this was before his enlightenment—went into concentrated states of absorption. Later, when he had left home and was on his journey—as many of you know, he spent six years doing this intense, ascetic discipline—the Great Austerities—and really punishing the body thinking it was a vehicle for awakening. It is said that at a certain point, he remembered how he felt as a young boy sitting under the tree going into that happy state of concentration and it re-awakened in him the understanding that there is a kind of happiness and a kind of pleasure that is onward-leading—these are the unworldly feelings that don’t tend to grief, don’t tend to clinging, but actually further us on the path. It’s an interesting distinction to begin to explore. TS: Of course, isn’t it possible to have pleasant, unpleasant and neutral feelings, even of a worldly type, that are sense-based that don’t lead to clinging? They’re just, “Oh, that was a pleasant taste that I just had.” Or something like that—no clinging. JG: Well, this is the whole point of mindfulness. When we’re actually mindful of those worldly feelings—pleasant and unpleasant—then they are onward-leading, and that’s why so much importance is given to being mindful of them. It’s when we’re not mindful or not aware in the moment, that’s when they tend to lead to attachment, greed, or aversion. It just highlights the importance as these worldly—these are the ordinary experiences of our lives. We’re having these experiences all day long—the taste of things being either pleasant, unpleasant, or neutral. It highlights the importance of being mindful of them and this is part of our practice. JG: It’s true that renunciation is not very popular in our culture. We don’t really give much value to it, but of course in the Buddhist teachings and the path of awakening, renunciation plays a key role. In fact, in the book, there’s one chapter devoted to what it means and how we can practice it. I think that [this is] a good translation which might help us understand its value. If we think of renunciation as non-addiction—I think we can all easily understand the value of not being addicted to things. Really, that’s what “renunciation” means. It means letting go of our addiction to whatever it might be, whether it’s the addiction to some pleasures, addiction to fame, wealth, drugs, alcohol, or whatever it might be. I think everybody has an intuitive sense of the suffering of addiction and the easeful freedom of a mind that is not addicted. And that’s really what “renunciation” means. It just means letting go of that clinging; letting go of that grasping. TS: OK. Moving to the next area that the Satipatthana Sutta points us to: becoming mindful of our mind. Tell us a little bit about what the sutta says in this section. JG: This is really, in some ways, the simplest section, with the Buddha directing us simply to be aware of the quality in our mind. For example, to know, as they say, the lustful mind as lustful and the non-lustful or the non-greedy mind as not lustful, not greedy. And the angry mind as angry and the non-angry mind as not angry, and so forth. What’s particularly valuable in this section of the teachings is the Buddha saying that we should simply be mindful of whatever state is present. It’s all-inclusive. We really are just stepping back and seeing what it is that’s present. So it takes a lot of the struggle out of the practice, because instead of fighting with what might be going on in our minds, the instruction is to simply be mindful of it. There’s greed in the mind—greed. There’s anger—anger. The mind is concentrated—concentration. We’re simply acknowledging the mind is like this. One aspect of this which is worth mentioning, I think, is that very often we hear the instruction to be mindful of the difficult states and we often overlook the importance of being mindful of the easeful states. Here the Buddha is saying to just be mindful when the mind is concentrated. We want to be mindful of the concentrated mind. We want to be mindful of the mind free of greed. What is that like? Because all of these mind states are conditioned. They’re all arising out of causes. They’re all passing away. The general awareness, one might say, of the affective tone in the mind, the quality of the mind in any moment—we pay attention to it in order to see, as I mentioned earlier with the body, its impermanent nature, whatever the state is. If it has the nature to arise, it will also pass away. That’s what we want to see. TS: I imagine a listener at this point, Joseph, potentially feeling a little bit confused, to be honest with you. [They’re] thinking to themselves, “I thought mindfulness was kind of simple. I thought it was this thing where I was just sort of paying attention to what was happening in my sensory field at any given moment—paying attention to what was happening in my body. That’s the way I’ve always heard it described: non-judgmentally accepting whatever’s happening in my body in the moment. Now, there are all of these different dimensions or pastures or ways of being mindful—different types of mindfulness. I’m getting kind of confused.” What would you say to that person? JG: In this discourse, the Buddha is laying out all of these many ways of being mindful. And each one brings a certain richness to our understanding of who we are as a human being. We have all of these dimensions. It doesn’t mean that we necessarily have to put all of these different instructions into practice. In fact, focusing on any one instruction will really serve the purpose. If were just practicing mindfulness of the body, that would take us all the way to enlightenment. We can practice just being mindful of the mind if that was our inclination, and that would take us all the way. The Buddha is presenting the fullness, the range of possibilities. We have to see—in exploring the discourse and exploring all of the teachings and exploring different methods that teachers have evolved over these centuries—we just have to see which resonates with us and which we feel drawn to. It’s not that we have to have them all in place for the path to unfold. 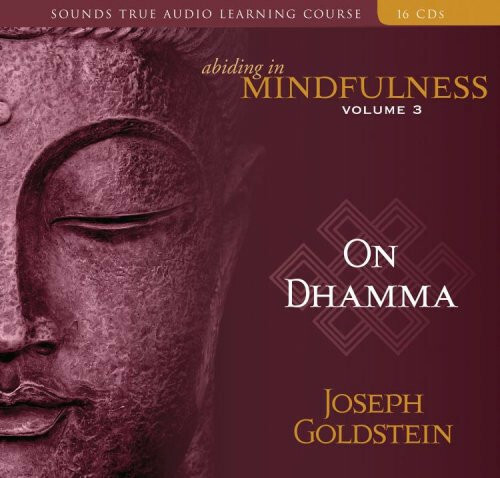 TS: In the final section of the book Mindfulness: A Guide to Awakening, you focus on mindfulness of dharmas. This is actually the largest section of the book. More than two-thirds of the book is [focused on] this type of mindfulness towards what you call these “basic organizing principles” of the Buddha’s teachings. And you go into quite some detail about The Five Hindrances, The Aggregates, The Six Sense Fears, The Seven Factors of Awakening, and The Four Noble Truths. To help our listeners get an introduction to this part of the Satipatthana Sutta, Joseph, I’ll let you choose one of these teachings that you think would helpful for people to really get a sense of the sutta. JG: [Laughs.] Well, this is a challenging choice. They all are so rich in their own way. But I think I’ll pass over the Hindrances since we talked a little bit about working with greed and aversion, noticing restlessness, and things like that. And maybe [I’ll] pass over The Factors of Awakening, although they’re hard to pass over, because these are qualities of the mind, like mindfulness, investigation, rapture, calm, and concentration. These each need to be developed on the path, but we have touched a little bit on some of them. I think maybe I’ll just point to The Four Noble Truths. In some way, this is the heart of the Buddhist teaching. Even among the many different traditions of Buddhism, all would agree that The Four Noble Truths are the central core. Different traditions have elaborated this and developed practices based on them. But they all agree that this is the essential teaching of the Buddha. There’s an example which I use in the book. If that word is unpacked etymologically, one of the derivations—broken up into the root and the prefix—the prefix “du” means “difficult.” And then “kha” is the root, and in this particular case, one of the meanings it refers to is the empty axle hole of a wheel. The wheel has a hole that the axle goes into that holds it together and allows the wheel to move. It’s very interesting. “Dukkha” means an ill-fitting axle. Some years ago, I was in Burma visiting the home temple of the grandfather of one of our lineages, [indecipherable]. Part of the journey was in an ox cart. It was the first time I had ridden in an ox cart and it was a visceral experience of dukkha—an ill-fitting axle. It was a very bumpy ride. One way of understanding dukkha is not limited to the meaning of suffering, but it means that because things are impermanent, there’s nothing which is capable of giving us a lasting peace, a lasting satisfaction in this world of change. Fundamentally, conditioned phenomena are unreliable. They’re unsatisfying or there’s a certain vulnerability in the experience of continual change. That’s a much more expansive meaning of dukkha and the First Noble Truth. The Buddha is saying, “Whatever arises in our experience cannot be satisfying because it is of the very nature to change.” And when we’re very attentive, we see that things are in fact changing very, very rapidly. In fact, sometimes so rapidly that we’re not seeing the change, as [if] we are seeing a film and not seeing the separate frames of the film. Everything is in this constant movement. That is the First Noble Truth. It’s the recognition of this inherent unreliability of changing phenomena. The Second Noble Truth is the cause—and here we might emphasize the meaning of “dukkha” as suffering or difficulty. The cause of dukkha, the cause of suffering, is craving or attachment. It makes sense. If we are attached to that which in its nature changes, then when it changes, to the degree that we’re attached, we’ll suffer. We’ll be ill at ease. If we’re attached to youth, we suffer as we get old. If we’re attached to health, we suffer as we get ill. If we’re attached to summer, we don’t feel happy in winter. And the examples go on and on. It’s really just common sense. If we’re holding on—and especially if we’re holding on tightly—to that which in its very nature is changing, then as it changes, because we’re grasping, it’s going to be the cause a lot of distress. This is the Second Noble Truth, that craving is the cause of dukkha. The Third Noble Truth is the end of dukkha. This is the realization, we could say, of freedom, of nirvana, of peace, of the highest happiness. Often people will ask, “What is nirvana?” This is a question that has been asked for thousands of years. The different schools of Buddhism have different interpretations. One of the statements the Buddha made about this which I particularly resonate with is one that is the most pragmatic. It’s not a great metaphysical statement. There are places where the Buddha says, “The uprooting of greed and hatred and delusion is nirvana. The mind that is free from these defilements.” I like that because we can get a momentary taste of it even if we haven’t experienced the full realization of it. We can see the ease, the coolness, the peace—all the words the Buddha often uses to describe nirvana—the refuge, the island—many, many terms. Even if we haven’t fully realized it, we can get a taste of it in every moment that the mind is free of greed, free of hatred, free of delusion. It’s worth paying attention to those moments—paying attention to the coolness of the mind. It gives us a glimpse of what the possibility is. The Fourth Noble Truth is the path leading to this ease, to this freedom, which is the Buddhist teachings on the Eightfold Path—the eight components on our journey. I’ll just mention them briefly because of the importance in seeing that they touch every aspect of our lives. It’s not just about meditation. It’s about living fully in our life with awareness, with mindfulness. There’s Right Understanding, which is the wisdom of mind, of understanding the whole [of] our karma—that our actions have consequences. And also seeing the changing unreliable nature is the step of Right Thought, which is the cultivation of renunciation, and on the positive side, of generosity, love, wisdom, and compassion. Then there’s the steps of living wisely in the world: Right Understanding, Right Thought, Right Speech, Right Action, Right Livelihood. I’m talking about applying mindfulness, just choosing particular practices that resonate. One of the most powerful ones is the practice of Right Speech. Just this would transform our lives if we really gave it significant attention. We speak so much in the course of a day, but how much attention do we pay to the motivation, to the quality of our speech? So that’s a big arena of the path. And Right Livelihood—are we undertaking our livelihood with the spirit of service [and] the spirit of friendliness? Then the qualities of mind of the path—of developing Right Effort, Right Mindfulness, Right Concentration. So, in the Fourth Noble Truth, the Buddha just lays out the path before us. It’s a very comprehensive teaching, these Four Noble Truths and, as I say, it’s really the heart of the Buddha’s teaching on awakening. 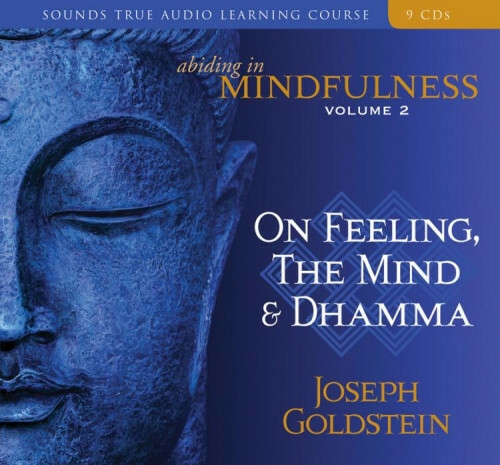 TS: Joseph, in this last section of the Satipatthana Sutta, where we’re focusing on Mindfulness of Dharmas, help me understand what “mindfulness” means in this context. It sounds more like we’re contemplating these teachings, these truths. It’s more like a contemplation. JG: Well, it’s both. I think mindfulness in its meaning of remembering is about calling to mind. It’s learning these particular conceptual categories the Buddha laid out, but not simply for the purpose of learning the concepts. Then it’s actually putting them into practice. So each one of these— for example, we want to be mindful of the Truth of Dukkha. That is, experiencing the truth of it moment-to-moment. It’s not just knowing that this is the First Noble Truth the Buddha talked of, but rather: “How can I be mindful of it in my moment-to-moment experience?” And [it’s] the same thing with all the others. How can I practice? How can I see directly—not simply conceptually—through mindfulness, how can I see that craving indeed is the cause of distress? We actually are turning our attention to our lives to see how this is playing out. I’ll give you an example of putting the Third Noble Truth into direct practice. Again, this is the experience of the practice of it in a momentary way. [It’s] a very interesting experiment to watch the mind when it’s caught up in some wanting. This happens many times a day. This is just the ordinary course of our lives. We might want certain kinds of food or certain experiences. There’s something I call “catalog consciousness.” It’s what happens when we get a catalog in the mail and we make the mistake of opening it. One of the things I’ve noticed is that even if I don’t particularly want anything, I keep turning the pages, wanting to want [something.] [Both laugh.] I keep turning the pages in case or hoping that there will be something that I want. So this wanting mind comes up very often. It’s a common part of our experience. So this can be a very direct experience for us. This is what it means to put these teachings actually into practice, not simply remembering what the Buddha said about the Four Noble Truths, but doing them. TS: Joseph, in the very beginning of the first part of our conversation, you offered a working definition of “mindfulness” that took mindfulness beyond simply being in the present moment, which is how some people define it. You took us much deeper. I thought it might be good to review that original definition that you offered in light now of our conversation, where you’ve given us this overview of the Satipatthana Sutta. Do you think you could do that for us? JG: Well, I’ll try. And I think it is useful to kind of wrap all of this in an understanding of what mindfulness means, because in the sutta, the Buddha pointed out all of these different ways of being mindful, different objects of mindfulness, whether it’s different elements of the body, either sensations, movements, or activities; the feeling states of whether what we’re feeling is pleasant or unpleasant; the mind states; and of all these different categories of our experience. Mindfulness means that whatever the object is—and there is this broad range of possibilities—that we are present. That’s the foundation. We are in the present moment with what’s arising, whether it’s in the body, whether it’s in the mind, whether it’s internal, whether it’s external. We are in the present moment noticing what it is that’s arising. So there’s that noticing quality. But it’s noticing or being aware in a particular way. That is, we’re noticing what’s arising, we might say—and this is one of the common definitions of mindfulness—with bare attention. That is, noticing what’s there without judgment, without reactivity, without grasping, without pushing away. Even if we are being aware of grasping itself, when we’re mindful of that, we’re not reactive to it. We’re simply seeing, “Oh, grasping mind is like this,” or “Aversive mind is like this.” Mindfulness implies this balanced awareness, which is in the present and knows what’s arising, but without reactivity. And if reactivity is there, we become mindful of that in a non-reactive way. It’s really a particular way of paying attention. It’s a way of being in the present moment. It’s not black Lab consciousness. It’s more mindful. TS: There’s this one word that you brought up in the beginning of the book that I wanted to have you comment on here as we end our conversation, because I thought it was so interesting. You talked about how one of the mental qualities that’s really necessary for walking this path is this need to be “ardent.” We need to develop our ardency. We need to be ardent. I thought, “Wow, this is a word I don’t hear very often—being ‘ardent.’” What do you mean by that? Why do we need to be ardent? JG: I had the sense that that was the word you were going to pick out, because it is a very interesting word. It comes right out of the text. It’s a translation of a word that the Buddha used. As I was going through the discourse carefully, word-by-word, line-by-line, that word kind of jumped out for me as well. It was interesting to explore exactly what it does mean. I took as a starting point just the qualities that are part of that word in English. “Ardor” suggests a kind of warmth and passion for something. It’s not disinterested. There’s an aliveness and a connectedness with what’s happening. All of this is implied, for me, in the word “ardent.” It also implies a sense of commitment and perseverance. We have ardor about something we value. One of the meanings of ardor is related to love. It’s something we have love for or passion. This is really all imbued—this quality is all part of or contained within mindfulness. It comes along with mindfulness. We have to practice mindfulness with this quality, where we really appreciate the tremendous value of this development. In a way, I think we’re often mislead by the term “mindfulness” itself, because, at least for me, in English, the term “mindfulness” seems a little prosaic. It doesn’t, on the surface of things, seem to inspire much ardor. It’s very different [with] words like “love, “compassion,” “peace,” or “freedom.” These words can really inspire us. “Mindfulness” seems like such an ordinary word and, as I said, prosaic, which is precisely why I felt it was so important to go into the depth of its meaning. Because in simply reading the English word, we might overlook the incredible richness of what the state of mind—the quality of the heart and mind, of being mindful—is like. This quality of ardency both allows us to explore the meaning of mindfulness in its fullness and its depth and it’s also a quality of mindfulness. So the ardor itself becomes stronger as we practice. TS: I just have one final question for you, Joseph. In the very beginning, back in part one of our conversation, you talked about the importance of the depth of the tradition of mindfulness being kept alive, at least by some people who are able to really communicate it. I’d be curious to know if you feel that long retreat practice—I know at the Insight Meditation Society you offer a three-month retreat every year for participants. Do you feel that this type of long retreat practice is really a requirement for people to explore the depth of mindfulness? JG: I would certainly say that it’s a support. It provides an opportunity for an in-depth practice of the continuity of mindfulness. As we talked about earlier, it’s an environment in which there aren’t many distractions and removed from the busyness of our lives so that we can devote ourselves, practice, and cultivate this ardent quality of mindfulness throughout the day. It’s definitely a support and it helps to develop many of the factors of awakening, as I briefly referred to them. But not everybody has the opportunity to go on a three-month retreat. Although one of the interesting things is to see how many people—even without many worldly resources, if they have it as a priority—and it may take many years of planning and the help of scholarship funds and all of that—but for people living ordinary, busy lives, it’s amazing how many have somehow found the way to experience this. Even if that is not possible for some, one of my teachers was a woman in India who was married and had four children. She was totally engaged in a worldly life, but she had an amazing ardor for practice. She didn’t have the opportunity to go on long retreats. She was a student of my first teacher, [indecipherable], and he taught her how to be mindful in her everyday life with whatever she was doing—if she was cooking or taking care of the house—the life of an Indian housewife. Because she had so much ardor for the practice and she really put it in practice; it wasn’t just an idea of, “Oh, I’ll try to be mindful.” She brought a huge commitment and energy to it. She attained really quite high stages of awakening through that kind of practice. We have to work with the situation that’s possible for us. Of course, retreat time is very valuable, especially in our culture, which is just so fast-paced and we’re so busy [that] to just remove ourselves for some time from that is a huge relief. In fact, I’m about to start my annual self-retreat that I do every year just as a way of stepping back from the busyness of my life and continuing to cultivate the practice. If it’s not possible, doing a daily sitting practice and then having an ardency for applying the practice, applying mindfulness, applying investigation in the course of our lives, bears tremendous fruit. TS: Joseph, [are there] any final words you’d like to say about your new book and your hopes for it, if you will, as it takes wings in the world? JG: Well, as you know, it’s a big book and there was a tremendous amount of work involved in it. I just appreciate having put that work into it and seeing the final product. There’s so much material in it. In some ways, it’s so comprehensive in so many different elements of the Buddhist teachings. With it I really—as well as going through the sutta in a very careful and precise way—I also share a lot of personal stories from my own practice and the ups and downs over these last 40 years as I’ve put these teachings into practice. It’s interesting. Just the other day, my mind was going through some kind of ripple about something and now I don’t even remember what, and I just opened the book. I was surprised in reading something that I put so much into that I found it helpful to myself, just re-reading this. Because the Buddha’s teachings are so exact and so precise and so helpful. So I just had a renewed appreciation of the power of the teachings and the possibility of being reminded to put them into practice in our lives. TS: I’ve been speaking with Joseph Goldstein. He’s published a new book with Sounds True called Mindfulness: A Practical Guide to Awakening and also an audio program called Mindfulness: Six Guided Practices for Awakening. As well, we’ve worked with Joseph to put together the 47 lectures that he gave on the Satipatthana Sutta. It’s 38 hours of teachings and it’s in an audio series called Abiding in Mindfulness, Volumes One, Two, and Three. Joseph, I mentioned this to you during the break, but I want to say it to our listeners too. You’re such a generous teacher. You really take the time to unpack things and make things clear. You’re really a learner advocate, the way that you speak and teach. I really appreciate that. It’s such important work that you make that bridge from the depth of your experience to new people who are discovering mindfulness. Thank you. Thank you so much for that. JG: You’re very welcome. It’s really a joy to be sharing the teachings.